first of all, i just wanted to say a big thank you to everyone for their interest in bubblegum ben! we had quite a few comments and a ton more emails asking for the pdf. i hope you all enjoy using him in your music time. our primary kids just love him! also, look for today’s free download at the bottom of this post. 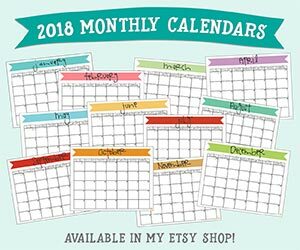 if you want to be notified each time there’s a new post and/or download, go ahead and like us on facebook or even subscribe to the blog (see the sidebar) to get notifications right in your inbox! by doing this you also let me know that you like what i’m doing. and so i’ll keep doing it. plus, it makes me smile 🙂 now onto today’s post…. 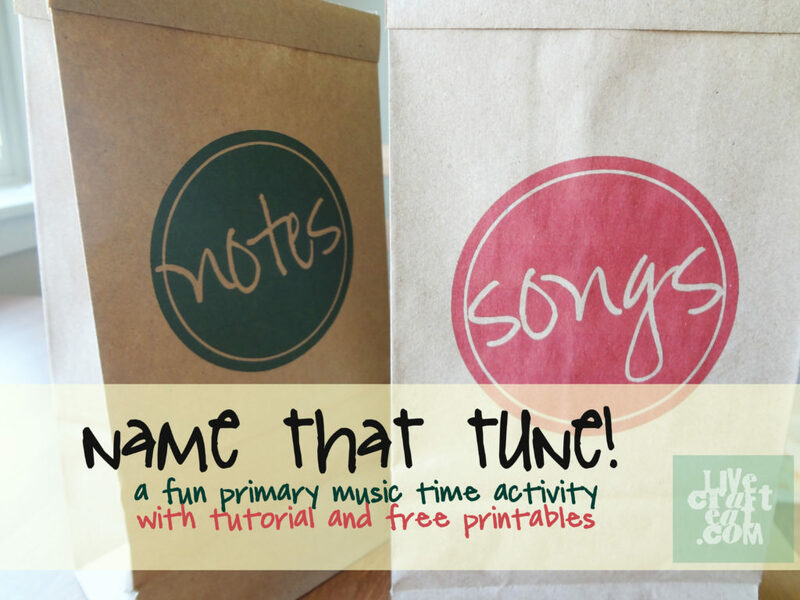 so, today in music time we played a game that i used to love as a kid – name that tune! does any one else remember/use this game? some of the kids in our primary had never played this before! i was happy to enlighten them! -pick a child to come up to the front of the room (however you do it…drawing their name on a stick/the most reverent child/etc.). 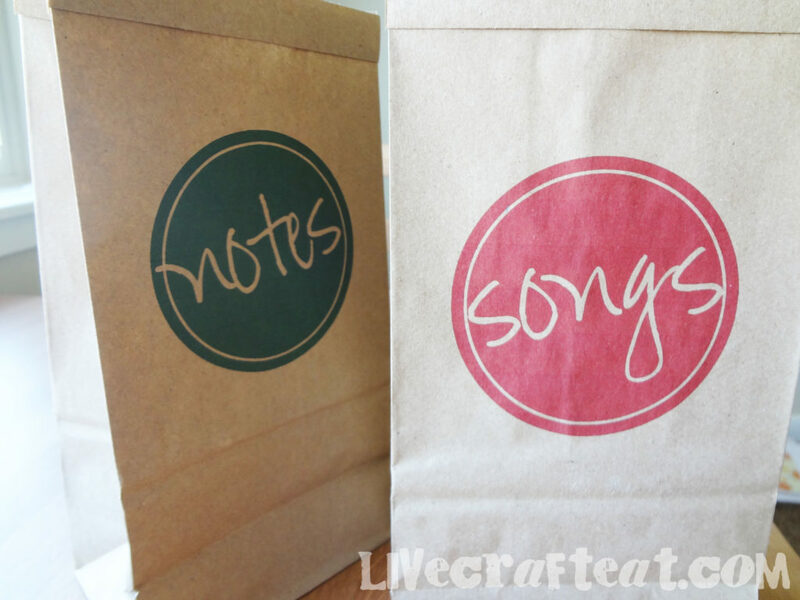 that child picks a piece of paper from the song bag. do not open it! they hand it directly to the piano player without peeking! -once they’ve guessed the song they get to sing it. remember, if the child who picked it doesn’t know the answer, they can always ask for help from the rest of the children or the teachers. note: for the juniors we made sure that they had pieces of paper with big numbers on them (4-8 notes) and for the seniors we had smaller numbers (2-5). also for the seniors, we included some numbers with the words “end of song” on them so the pianist played the last few notes of the song…just to make it a little tougher for the older guys! and now on to how to make this activity. 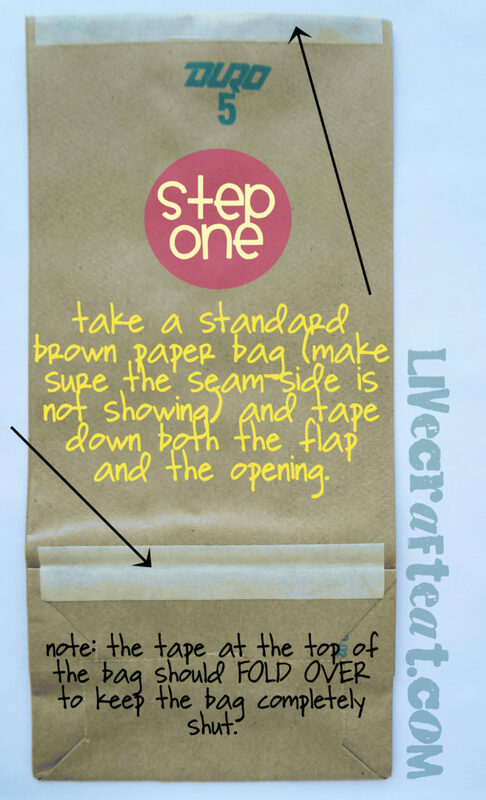 1. using masking tape, secure the bottom flap as well as the opening of the lunch bag. 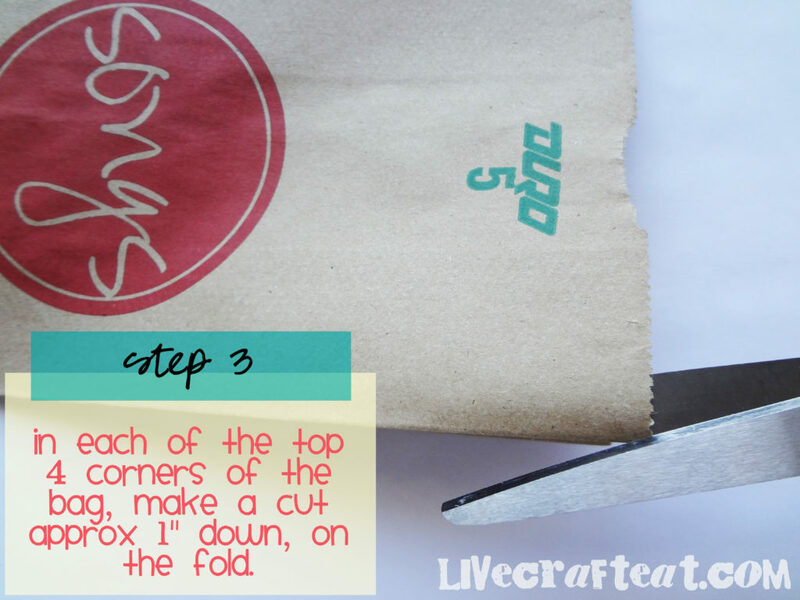 make sure that your tape is folded over top of the opening on to the other side of the bag. we don’t want anything getting snagged in the printer. 3. leave the bags as they are, or if you like a nice, clean edge like myself then cut each of the four top corners down approx 1″. 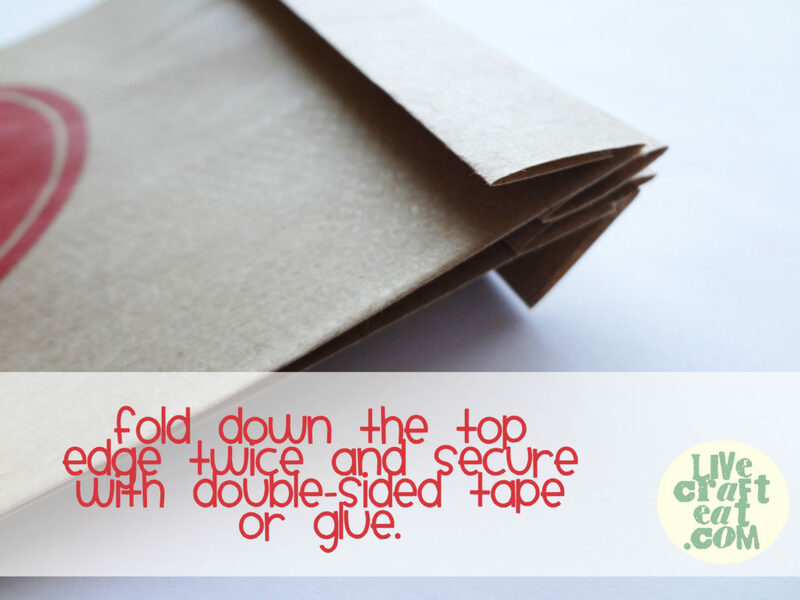 4. fold down twice and secure with double-sided tape or glue. and you’re done! that simple. but it makes it fun. 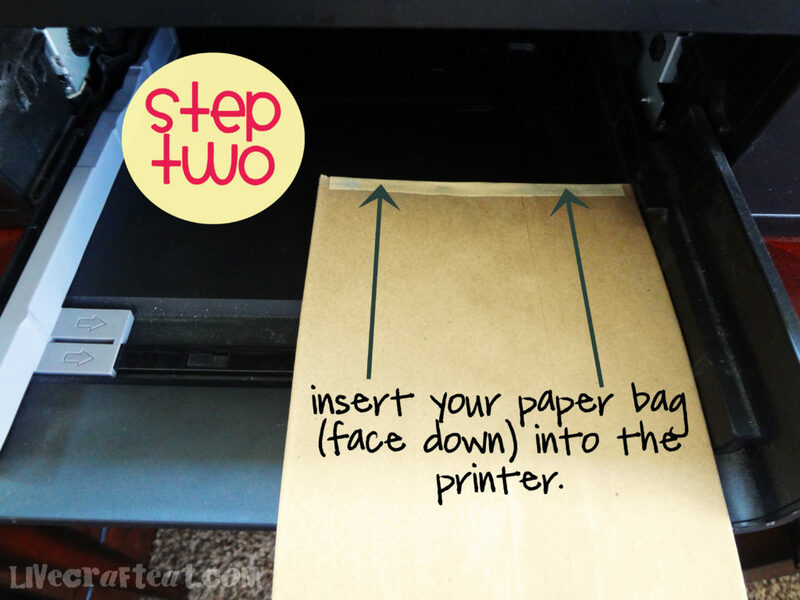 and it makes it easy to store because they fold up flat and you can easily stick them in a file folder along with pre-cut strips of paper to keep in your primary cupboard. if you want to just click and print without having to create an image yourself or deal with placement on the page, feel free to download this file for name that tune. Thanks for the idea! 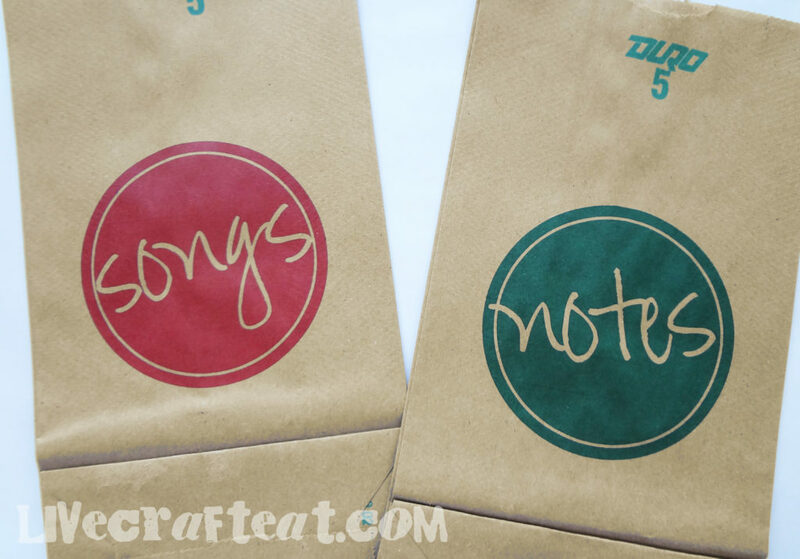 I am planning to do the “pick notes out of a bag” portion, but I am just giving the song list in order to the pianist because it will help move things along faster. Also… I really need them to practice specific songs we’re learning, making sure we get to them.